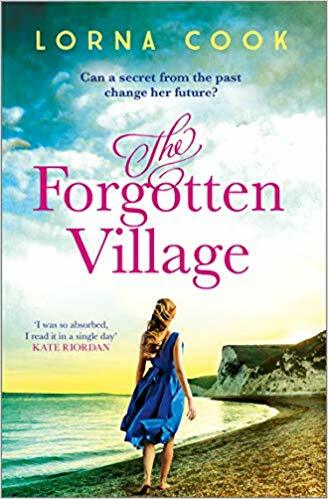 Today I’m hosting the book tour for Lorna Cook’s new book called ‘The Forgotten Village’ and I’ve an extract from the book for you to enjoy! Melissa stepped forward to look closer. The couple in the small black and white photograph looked unremarkable. But, despite the heat, she shivered. Her mum would have said that someone had walked over her grave. Melissa wasn’t sure she believed in that sort of thing. She pushed the thought away and walked through the wide red-brick entrance into the front drive. She could see holes in the brick walls on both sides where wrought-iron gates would once have been fixed but had long since been removed. She put her hand against the warm brick wall to steady herself for a minute or two as the sun beat down on her head. The heat was making her nauseous and she fanned herself with her leaflet for a few seconds before ploughing on. She wasn’t usually this feeble. Just a few quick minutes glancing in the windows of the house if they weren’t boarded up, and then she’d head off. But as she let go of the wall and walked towards the large pale-bricked Elizabethan building in front of her, her vision blurred and her stomach churned. Melissa reached out to grab the wall again, but it was too far behind her and her fingers grabbed pointlessly at the air. She started to stumble forward, her legs gave way and the ground rushed up to meet her. As her eyes flickered shut, she was only vaguely aware that a strong pair of arms had grabbed her, breaking her fall. Melissa opened her eyes slowly and looked up into a man’s face. It was the historian. He was crouched over her; his face full of concern, laced with a hint of panic. He was very attractive up close, but then Melissa wondered why he was so close. And why was she on the ground? Melissa nodded. ‘I’m fine,’ she said out of good old-fashioned British politeness, although it was clear she wasn’t fine at all. Her head still hurt and her raging thirst hadn’t diminished. And she was still on the ground. You can buy ‘The Forgotten Village’ from Amazon and is available to buy from good bookshops. On the book tour for Amanda Robson’s addictive new thriller called ‘Envy’, sit back and enjoy an extract from the thrilling story. I end up doubled up at the park gate. About to vomit. Heart pumping. Chest aching. Feeling light-headed, as if I am about to faint. When I have recovered a little I amble home. The musty smell of my flat crawls into my bones and cradles my nostrils as I limp towards the shower. I turn the water on and wrap myself in a towel whilst I wait for it to warm up. The plumbing grunts and creaks, like an old man climbing stairs. The water runs brown before it turns clear. I test the water with my fingers. It still feels like ice. I am tempted not to bother, to just get dressed without a shower, but that is the start of a sort of slovenliness that I don’t want to be guilty of. I wait another five minutes and then I step into the shower. The water is hot and satisfying now. It pummels my body and the more it presses against me, the more I relax. I soap myself with the lavender shower gel that Mouse bought me last Christmas. I start by lathering my generous thighs. Not taut and firm like yours yet, Faye, still dimpled with cellulite; down, down, towards my tree-trunk calves and broad ankles. I massage and rub. It feels so soothing. So liberating. Upwards, upwards. Fingers circulating around my gelatinous breasts, my rolls of stomach fat. Fingers soaping into skin crevices. One day, Faye, if I keep working hard, my fat will dissolve, and I will be toned and slim like you. Showered and dressed. Jeans and a jumper. Grey duffel coat that I have had for twenty years, and a black beanie hat. I step out into a cold sunny morning and wait at the bus stop across the road from your house. Every time a bus comes I ignore it. Your front door opens and your Zac Efron of a husband steps out carrying a suitcase. A weekend bag. He waves his car keys. Lights flash. The boot opens. He flings the suitcase inside and drives off. You can buy ‘Envy’ from Amazon and is available to buy from good bookshops. 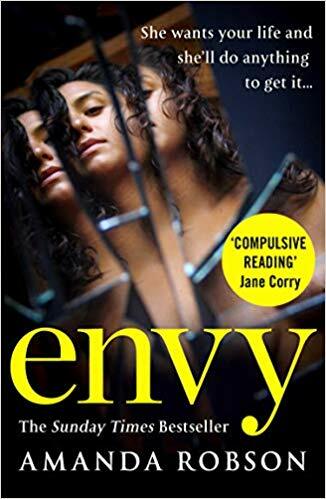 You can also read my review of ‘Envy’ here. On the book tour for the S.D Robertson’s emotional new book called ‘My Sister’s Lies’, here’s the extract from the book. Hannah and Mark both looked at her expectantly after this, the implication being that she should elaborate, but no further explanation came. 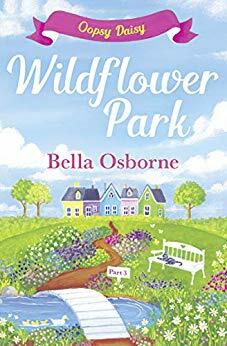 Anyway, now Mia was on her way to bed – a move quite possibly pre-orchestrated by her mother – Hannah assumed the reason for their journey up north was soon to be revealed. Part of her dreaded what was about to come. And yet, anticipating it would almost certainly involve Diane eating humble pie and asking for her help in some way, the competitive-sister streak in her was, in a warped way, slightly looking forward to it. Deciding to let them stay the night had been similar. If Hannah was totally honest with herself, the fact that Diane had seemed so desperate – like she had no other option – had appealed to her sense of one-upmanship, as well as her compassion. It was hard to feel anything approaching love or affection for Diane now when Hannah considered the awful state she’d been left in by her departure and the resulting loss of contact with her niece. Gradually, with a lot of patience and support from Mark, she’d learned to cope. She’d grown numb. Once warm emotions had run colder and colder until they’d frozen solid; she’d finally accepted the harsh reality that, for all manners and purposes, she no longer had a sister. I’ve recently read this book and it’s quite the heartbreaker that I’ll be reviewing soon. 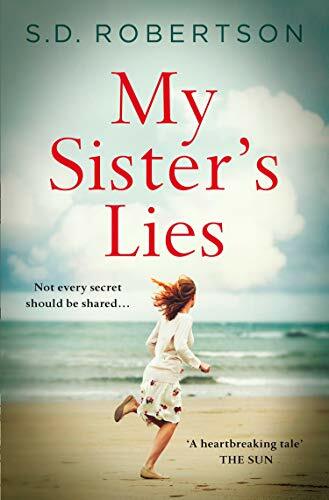 You can buy My Sister’s Lies from Amazon and is available to buy from good bookshops. 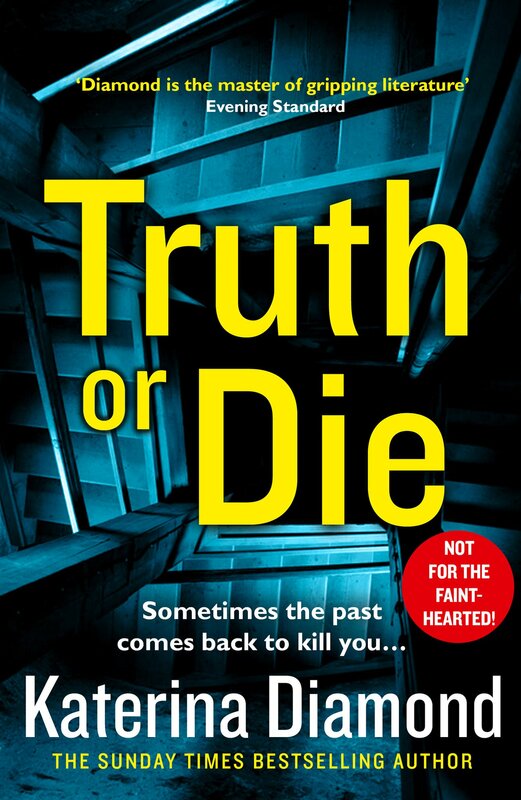 Katerina Diamond is back with a thrilling new book called ‘Truth Or Die’ and with a name like that, it sounds like a terrifying story. The butchered body of a professor is found in a private office of Exeter University. It is the first in a spate of horrific murders that shakes the city to its core. As the body count rises, the police have to look into the past to uncover the person responsible before it’s too late. But are they brave enough to face up to the truth? You can pre-order ‘Truth Or Die’ from Amazon and will be available to buy from good bookshops from 11th July 2019.